We live in a house perched at the head of a valley. This affords us views of the distant mountains and the upcoming weather. Most of the walls are glass. From one side of the house you can see out through the other side. The problem is that birds see the same thing – but not the glass. Sometimes they hit the glass with that sickening thump we have come to dread. Feathered torpedoes like the Crimson Rosella (Platycercus elegans) seem robust enough to survive the impact. They are generally dazed but are off and flying within a minute or so. Others such as members of the cuckoo family are usually killed instantly. 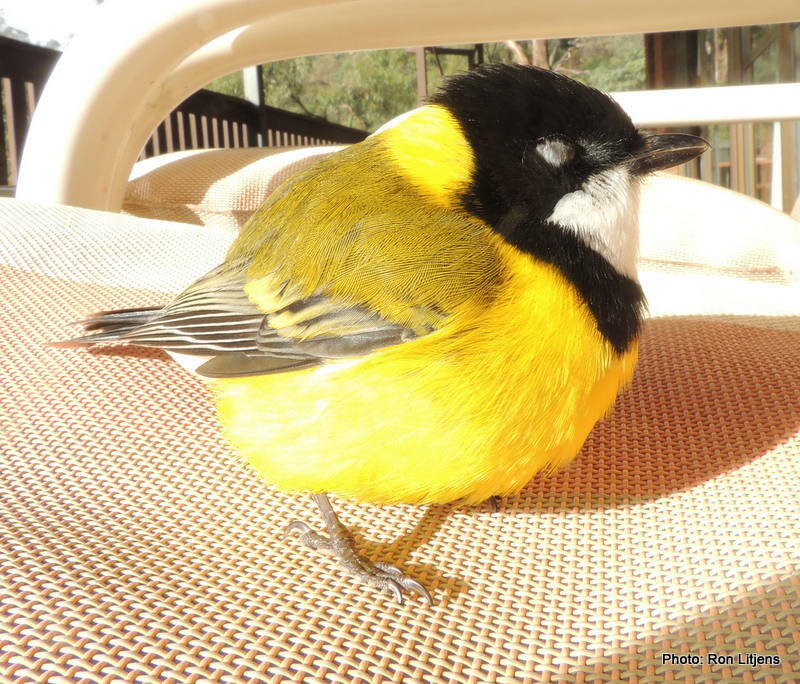 After the latest thump we found a male Golden Whistler (Pachycephala pectoralis) lying on the deck. As it was still alive, I picked it up to keep it warm (I’m not sure if that’s what you’re supposed to do). Golden Whistlers, particularly the males, are a handsome bird (see picture above) with a melodious call – hence their name. They are hard to see or photograph because they spend their time flitting high in the treetops. This accident gave me a rare chance to appreciate one up close. 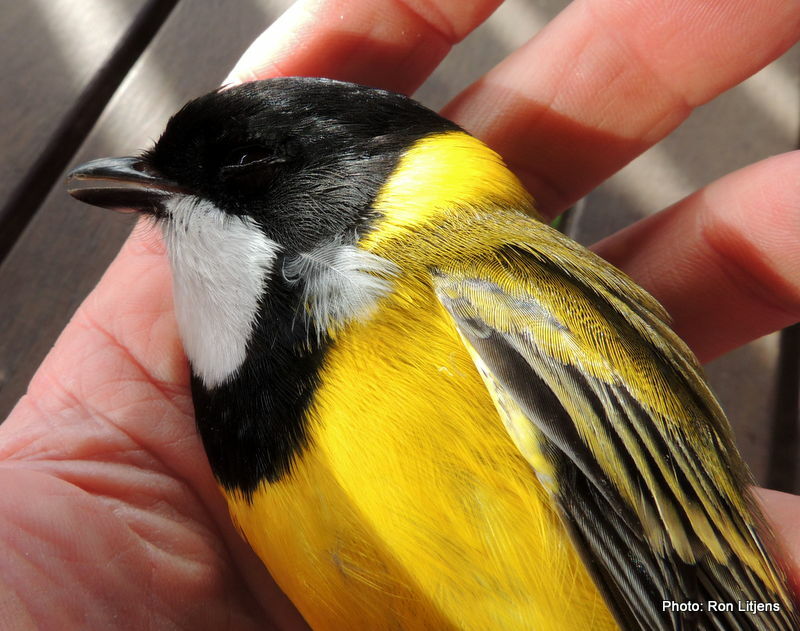 In my hand the bird closed its eyes and clenched its feet. Fearing the worst I kept holding it and after about half an hour it opened its eyes, one at a time, and struggled upright. 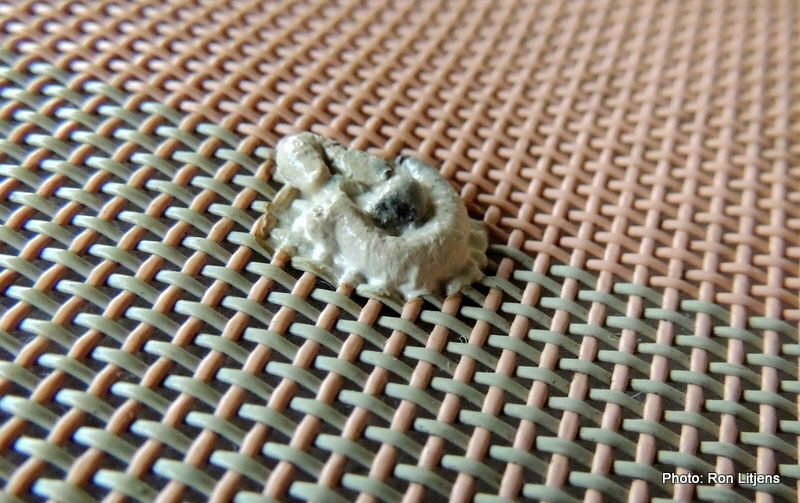 I left it sitting on one of the outdoor deck chairs. Thankfully, three hours later it was gone leaving nothing but an artfully arranged poo. It must have mistakenly thought it was sitting on the ‘throne’ and left the deposit either in thanks or in disgust. A happy ending, but we wait with dread for the next thump. Motto: People in glass houses should not stow thrones. 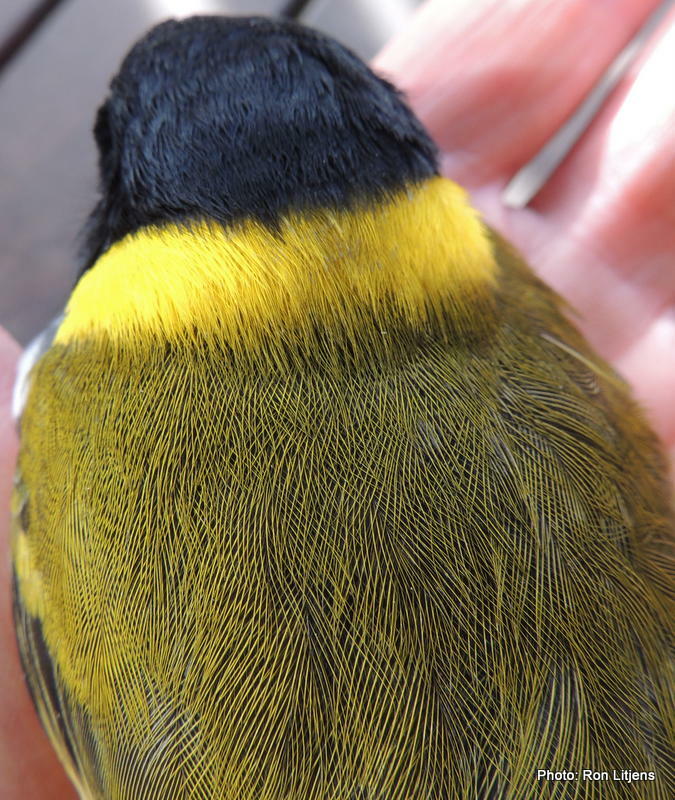 we had these unfortunate (and terminal) accidents happen with Varied Thrushes, and put 3-inch pieces of green painter’s tape on the windows now. I put a Striated Pardalote in a canary cage and hung it up high away from any interference to recover and later it had gone–squeezed out the wires, but yes keep them warm in an enclosed box if possible. Possible to have a compression fracture of the spine after the force of hitting, so if still ga=ga after some times then best to put to sleep. Bob Tate former Vet in Alex.